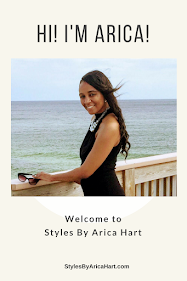 Styles by Arica Hart- "supporting healthy minds and healthy hair"
We should aim to make sure that our children and our-self have a fighting chance in life as they grow and mature. We want to provide the right nutrients so they can function well in school, and we can successfully do the position we have in our career. Train your child up right by nurturing their brain and their self-confidence. Keep their mind educated and their hair right for all occasions. We are starting to have children graduate early. You never know, yours might be next. Train them on how to take care of their bodies by watching what they eat; meanwhile, keeping their tresses fly just in case an opportunity became available. 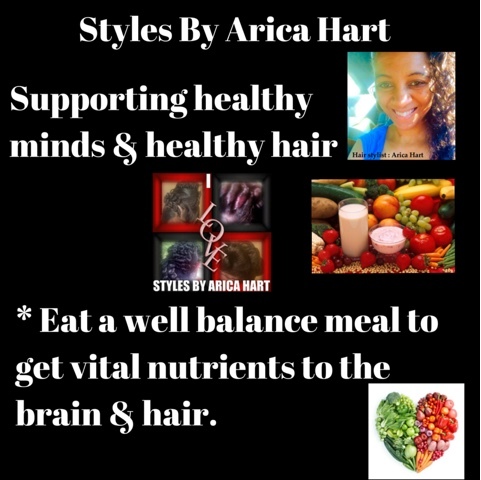 Make sure to eat a well balanced meal to give vital nutrients to the brain and hair. Research has shown that children eating breakfast, not high in sugar, helps their mind focus more; therefore, they excell better academically. According to WebMD.com, eggs, Greek Yogurt, greens, fish, nuts, seeds, oatmeal, apples & plums helps kids stay sharp and effect how their brains develop well into the future."